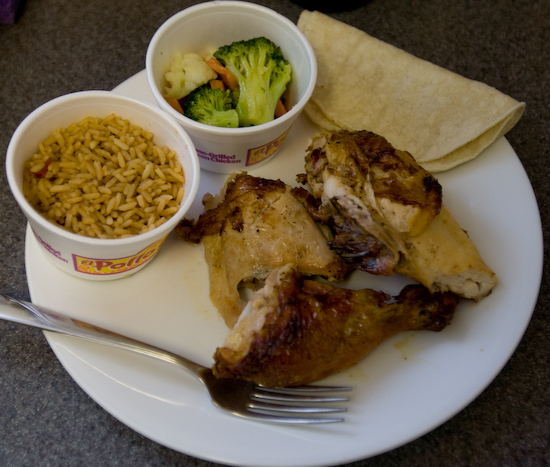 I had a three piece chicken meal from El Pollo Loco. I ordered a two piece thigh and leg meal with spanish rice, steamed vegetables, and flour tortillas. What I got was a drumstick, thigh, and a breast along with the rice and vegetables. In exchange for the extra piece, I suppose, they punished me with corn tortillas (which I never particularly liked when eating El Pollo Loco). 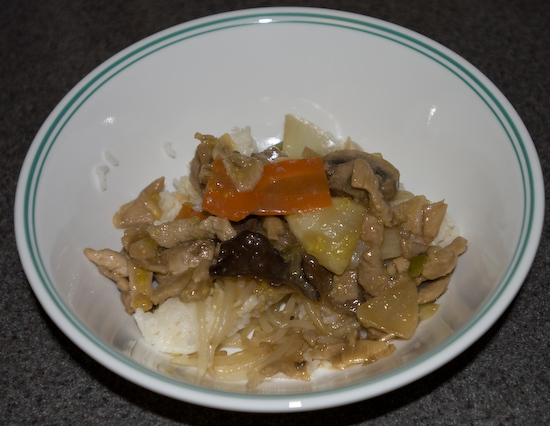 For dinner, I ate a little rice with some chicken stir-fried with mushrooms and carrots. There was also some stir-fried bean sprouts.